The SPX broke out of the declining wedge today, rallied and then closed just a few handles below the yearly highs. 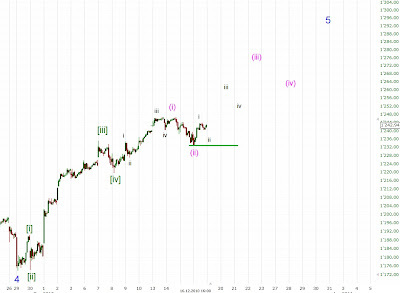 I changed the count a little bit because the correction from 1247 to 1233 was too small to be a wave [ii]. Imo it counts better as an extended wave [v] (i.e. 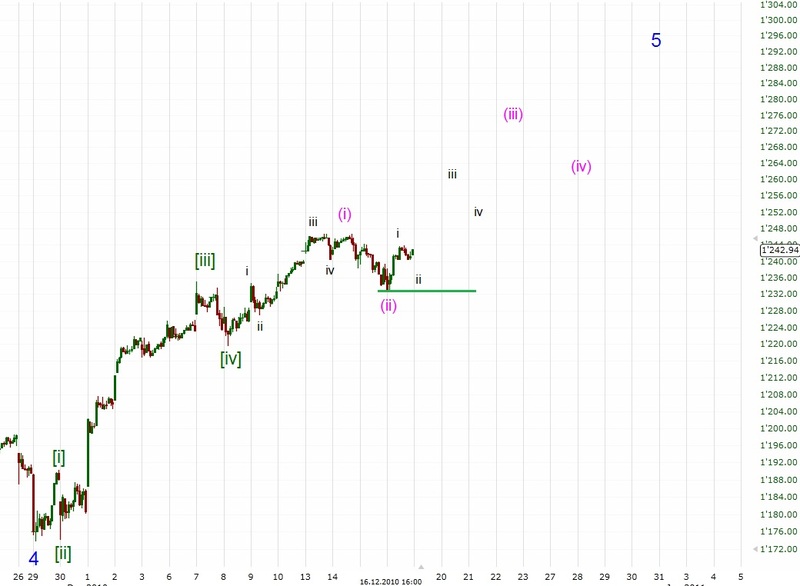 today's low was wave (ii) of [v]) but the target area (1280-1300) remains the same once 1247 is cleared.